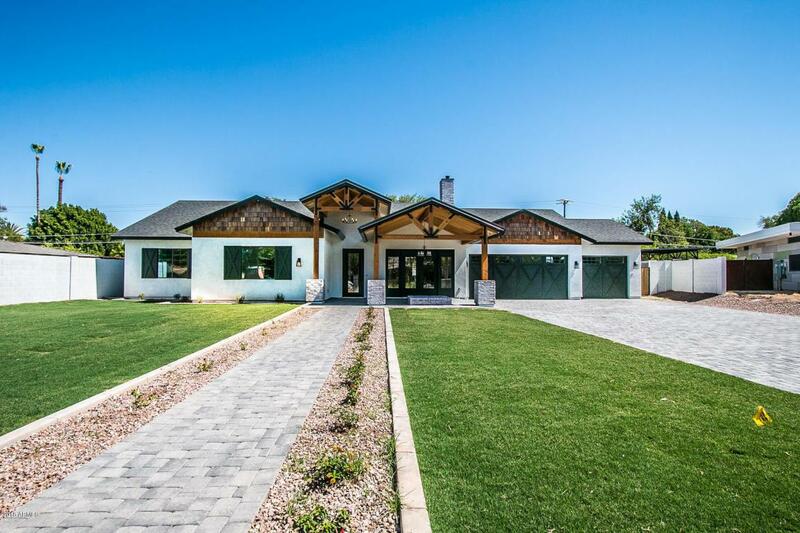 NEW CONSTRUCTION: Dream American Classic Architecture in the Biltmore/Arcadia Area. 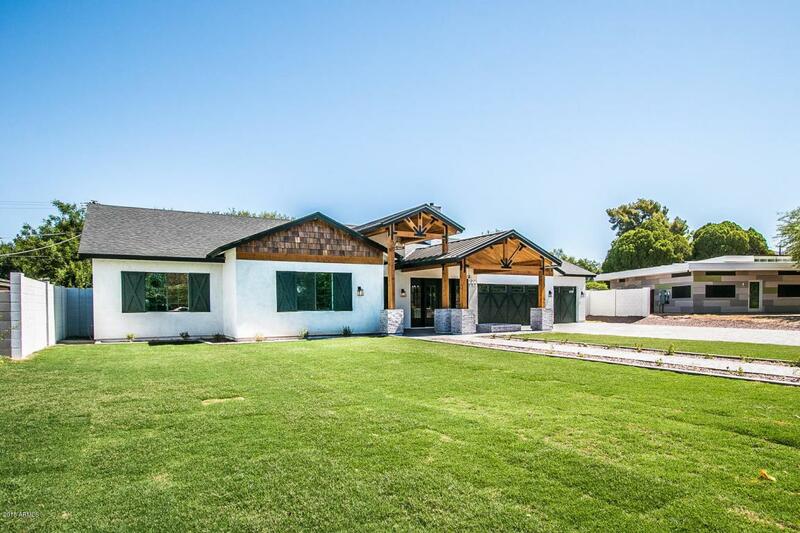 This contemporary ranch home features a completely open floor plan, 5 spacious bedrooms, 4.5 baths a" Private Luxury Master Bath with Soaking Tub, Jack & Jill Bath connecting bedrooms 4 & 5, Private Bath for Bedroom #3 and Guest Bedroom. 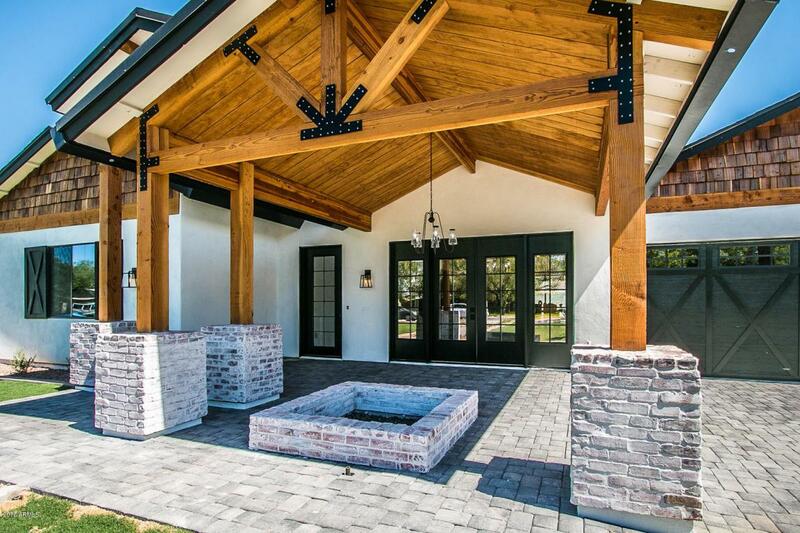 Custom features throughout making this home one of a kind; Wet Bar, and vaulted ceilings with Wood Beam accents. The large chef's kitchen is equipped with a 64' Refrigerator/Freezer, and Bertazzoni appliances, ample counter and cabinet space, and large marble island. 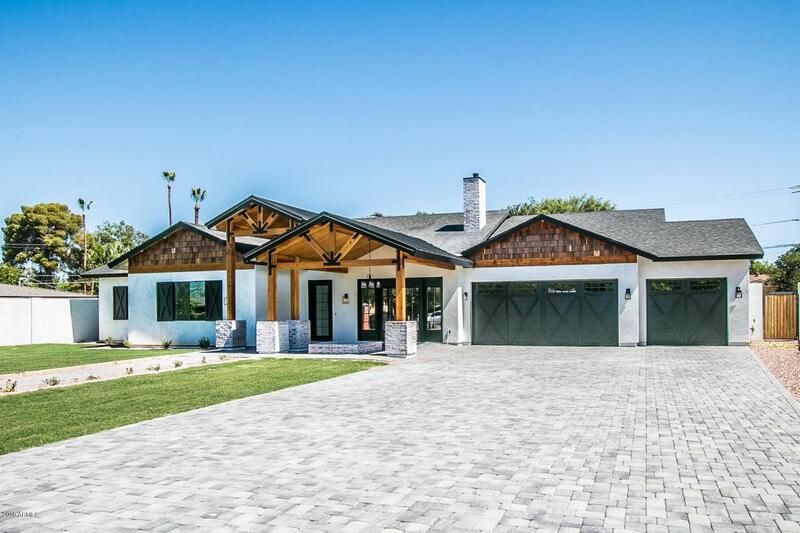 Continue your entertaining outside; your very own oasis boasts a large patio with built-in BBQ, firepit, and new heated sparkling pool.